Indonesia is a country with lined large and small islands connected to each other. One of the islands is located in the Sunda Strait and is flanked by the islands of Sumatra and Java, the island is called Sangiang Island. 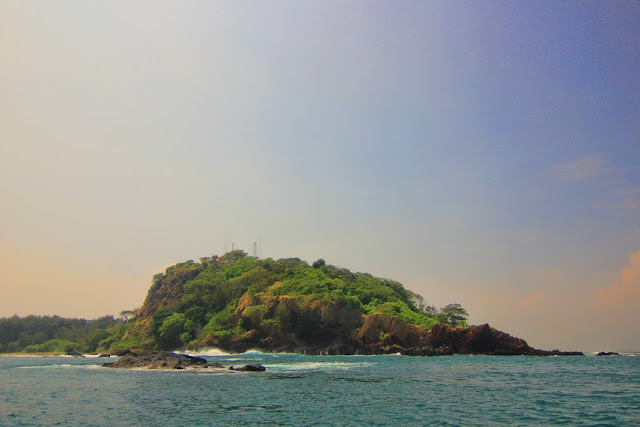 With an area of ​​700 hectares, the island is a tourist destination with cruising the island, snorkeling, until the sunset panorama as its flagship. 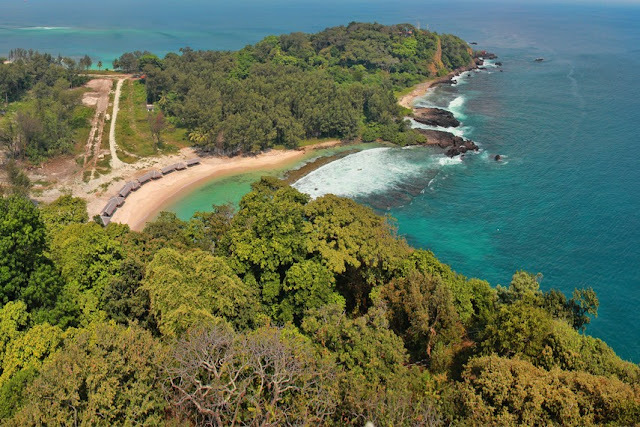 Moreover, its status as a natural tourism park makes this island is very awake its natural authenticity. 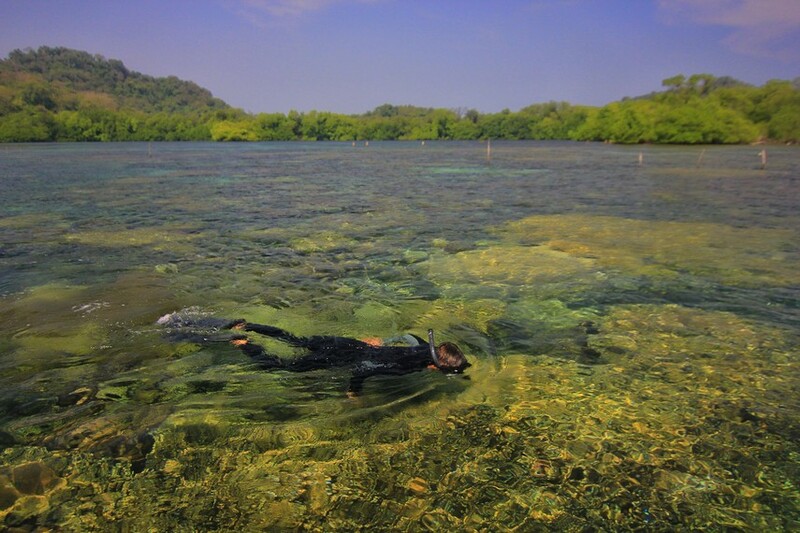 Alam Pulau Sangiang is divided into 3 ecosystems that include lowland forests, coastal forests, and brackish forests. This situation makes the flora and fauna of this island live freely and awake. Fauna such as monkeys, hedgehogs, monitor lizards, and various snakes are still often encountered in the forest of Sangiang Island. Likewise with various types of marine life on the island. Coral reefs and species live in a protected state. The same thing can also be seen on the tourist attraction found on Sangiang Island. In the eastern part of the island there is a Bat Cave that offers visitors a fascinating look directly at the live lives of these flying mammals inside the cave. The uniqueness of the cave that must be reached by way of penetrating the forest is visible at the end. The loose ocean with the occasional waves rolling up the side edge of the cave wall becomes a panorama that can not be seen in the caves generally. If lucky, visitors can see sharks that are forth waiting for bats to fall for a meal. 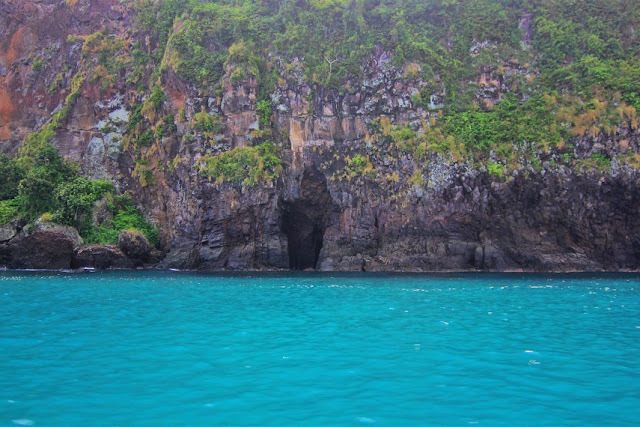 Still on the east side of the island, there are also other caves that adorn the edge of the island. His name is Cave of Furnace. The name of the stove itself is taken because the shape of this cave is similar to the burning tool commonly used for cooking. To get here visitors are required to climb the hill to descend the cliff to be able to see the beauty of the cave closer. Just like the Bat Cave, the Cave also has a very clear tip. Walking to the east, there is a beach with a long edge. Nothing wrong if this beach name is Pasir Panjang Beach. This beach is textured soft sand at the edges, while on the back is harder and slightly brownish color. The beach side is bordered by cliffs as the foundation of Sangiang Island. As for the waves, the beach is relatively small and very safe to become a family playground. After a day of combing the eastern part of the island, visitors can close roaming the island by enjoying the beautiful panoramic sunset at Batu Mandi Beach. The location of this beach is in the west or precisely located on the left side of Sangiang Island Pier. The beauty of Batu Bandi Beach not only provides a beautiful landscape with a typical orange sunset. The soft white-textured sand is also served on this beach. Moreover, the existence of a natural pool that is bounded by rocks made Batu Mandi Beach a prima donna tour on Sangiang Island. One more interesting, on this beach is the Tower Monitor that is located on the right corner of the beach. The tower that has a height of 30 meters is used TNI AL who served in Sangiang Island to see the state of the sea and the ship that often go back and forth around the island. Visitors can climb to the top of the peak but must with permission issued by officers who are on duty at Sangiang Island. 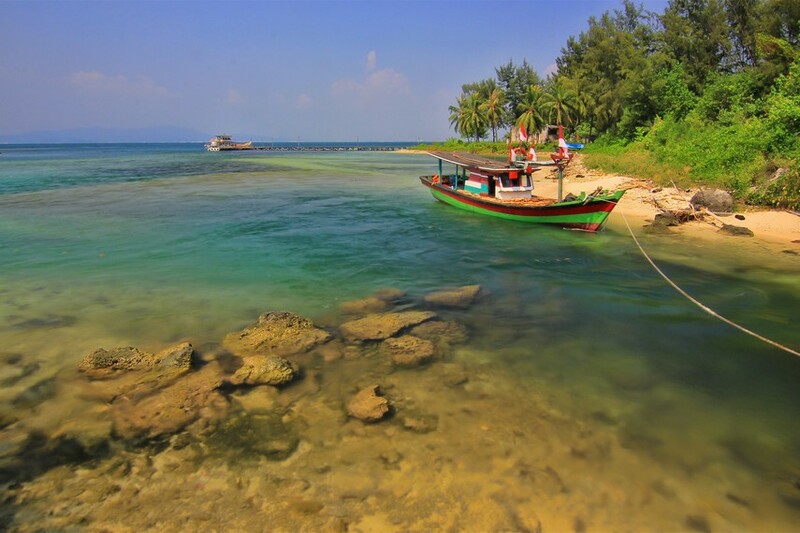 Sangiang Island was once used as a leading tourist destination with an international level. This is evident from the remains of hotels and hospitals that can be seen on this island. However, because of the monetary crisis that hit Indonesia in 1998, this big project was affected and finally stopped. Another story, in the era of Japanese occupation, this island was once used as a treasure trove of the spoils of Indonesian society. The treasures are said to have been kept inside a bunker located within the interior of the forest of Sangiang Island. To get here takes all day. Visitors can see the remains of buildings that became mute witness of Japanese occupation. Enjoy Sangiang Island which is administratively included in Anyer District, Serang Regency, Banten, can be started from Anyer Port which is 30 km from Serang City. 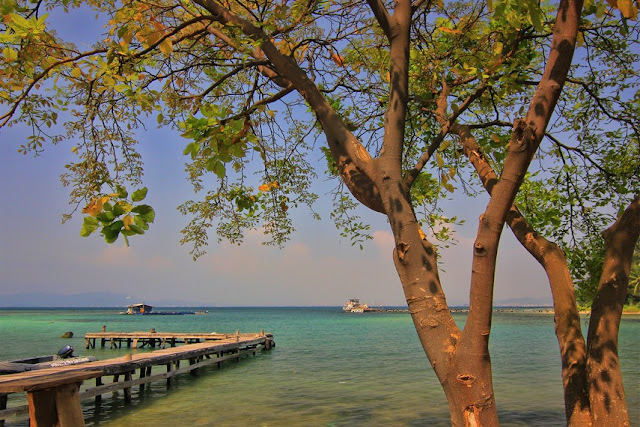 From here, visitors can rent a boat and then proceed with a journey for 1 hour before arriving at Sangiang Island Pier. But do not expect luxurious facilities available on Sangiang Island. 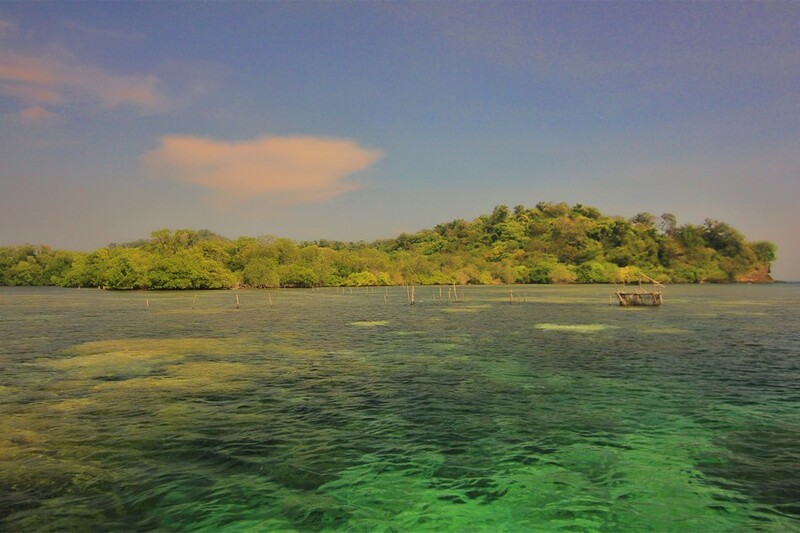 On this island the available facilities are only forest police buildings and TNI AL post. Both buildings are also a place for visitors to stay as well as rest. In addition, for those who want to be close to nature, forest police also provide tents as other supporting facilities for visitors who want to spend the night in Sangiang Island.